LeapFrog Number Lovin’ Oven Just $13.19! Down From $18! You are here: Home / Great Deals / Amazon Deals / LeapFrog Number Lovin’ Oven Just $13.19! Down From $18! LeapFrog Number Lovin’ Oven is currently on sale at Amazon for just $13.19 down from $18.19 PLUS FREE shipping with Amazon Prime or for orders over $25! 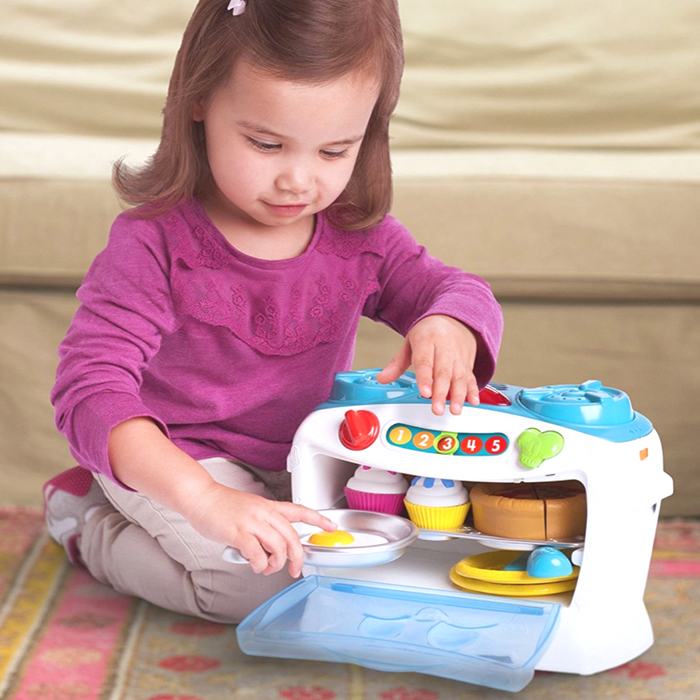 Discover the perfect recipe for number learning fun with the LeapFrog Number Lovin’ Oven. Designed for aspiring chefs ages 2 years and up, the Number Lovin’ Oven comes with 16 fun ingredients and plenty of learning baked in. Get number skills cooking with the sassy, singing oven-30+ songs and phrases warm up counting, sharing and vocabulary skills. Little ones can move the number slider to learn about time and temperature, cut food into 2, 3 or 4 equal pieces to build math skills, and press the Chef’s hat to count and sing along to lively songs. Slice and serve treats onto plates with the spatula to share with a friend or parent. Cleaning up is easy when children are done-everything fits inside.